Gianna Clark joined iSixSigma 8 years, 1 month ago. Gianna Clark is the Vice President of Customer Service Operations for Dominion Virginia Power. She has operational and financial responsibility for the major revenue cycle and customer contact functions for Dominions regulated utility customer accounts. A native of Richmond, VA,, Clark is a graduate of Virginia Commonwealth University. Gianna has more than 25 years of experience in the quality and energy business. From 2002 to 2008, she was the Managing Director Six Sigma for Dominion Resources, Inc. and was responsible for defining strategy for institutionalizing Six Sigma throughout the company, providing leadership and mentoring for Managers Six Sigma, providing oversight of Six Sigma training, and monitoring enterprise-wide Six Sigma performance. She is a certified Master Black Belt. 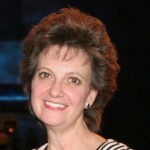 She has published numerous articles, is active in industry forums and advisory boards, a frequent presenter at industry conferences and is a featured blogger for iSixSigma.com. Her first book entitled “Six Sigma? Glad You Asked” was published in September 2008 and is available for download on the iSixSigma Marketplace and in paperback on Lulu.com.